‘Africa should resolve problems keeping investors away’ - SABC News - Breaking news, special reports, world, business, sport coverage of all South African current events. Africa's news leader. 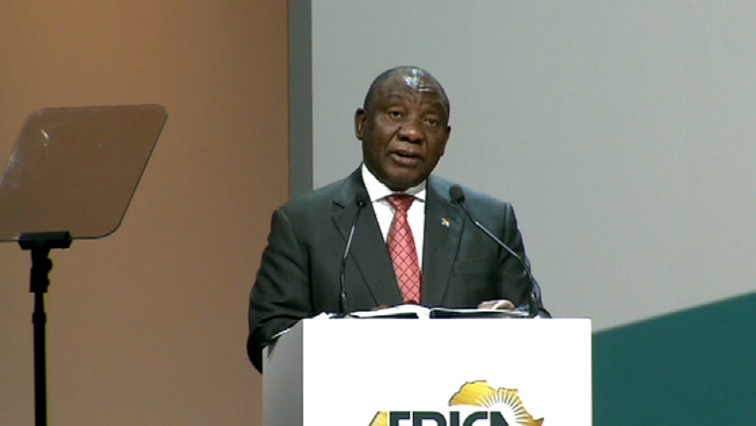 President Cyril Ramaphosa told delegates at the Africa Investment Forum that Africa should institute reforms and resolve the problems keeping investors away. Governance challenges, financial mismanagement, corruption and regulatory uncertainty are some of the challenges that are painting a negative picture of the continent to investors. President Ramaphosa says the governments should listen to concerns of business and suggested solutions. Ramaphosa says Africa integration is important to growth. He says the new Free Trade Agreement is seen as a historic development that is fundamental to changing the African economies. This will boost better policy harmonisation and expand market access and unleash the potential of the continent through industrialisation. He says African leaders know what needs to be done and they are doing it. Billionaire businessman Aliko Dangote says regulatory clarity is key for further investments on the continent. He told delegates that no one but Africans themselves can transform the continent. There is a call for African economies to invest in infrastructure to close the gap, industrialise and integrate the continent. Speakers have called for stronger cooperation between governments and the private sector to unleash the potential of the continent. There are also calls for a more inclusive growth also benefiting women and the youth. It is also important for Africa to invest in skills that are needed to take the continent forward. This entry was posted on 08 Nov 2018,02:45PM at 2:45 PM and is filed under Business, Homepage Featured Story Slider. You can follow any responses to this entry through the RSS 2.0 feed. Both comments and pings are currently closed.